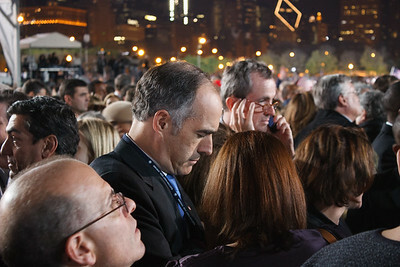 Pennsylvania Senator Bob Casey stood nearby. 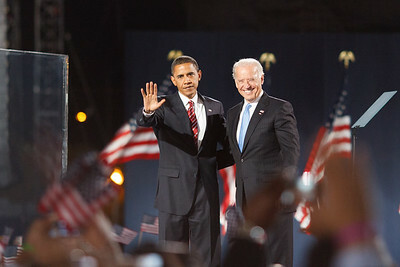 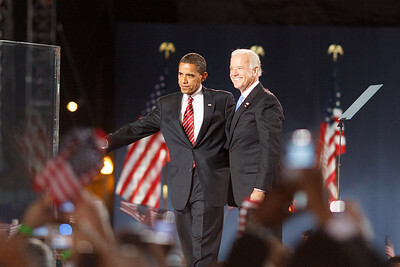 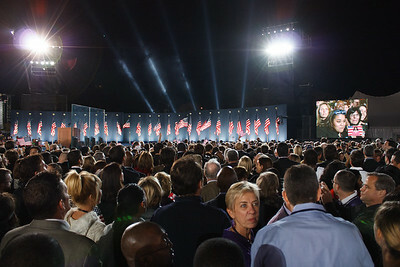 The President-Elect addresses supporters before going on stage. 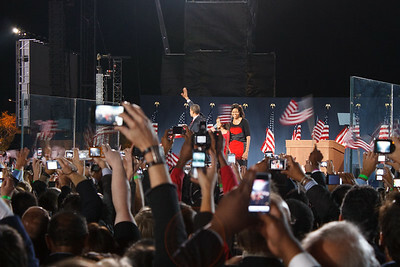 The iPhone was totally new. 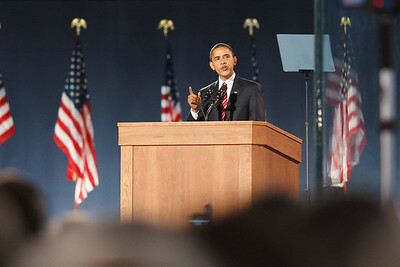 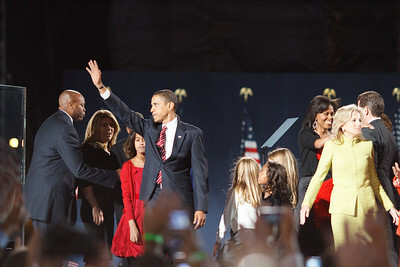 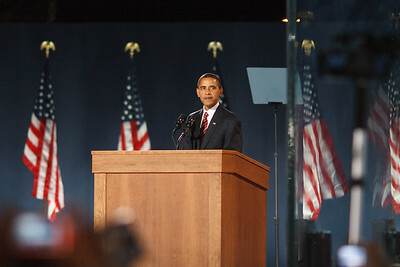 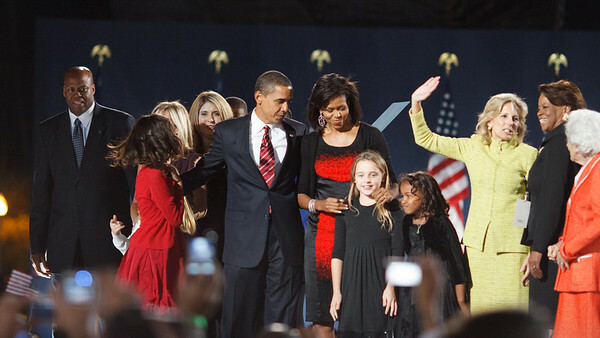 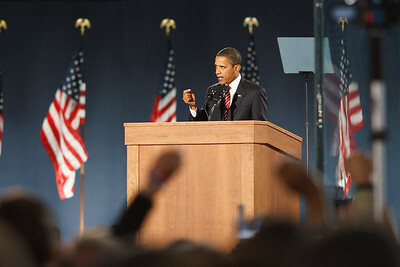 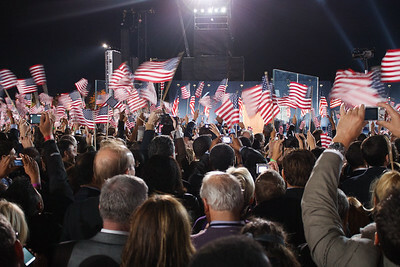 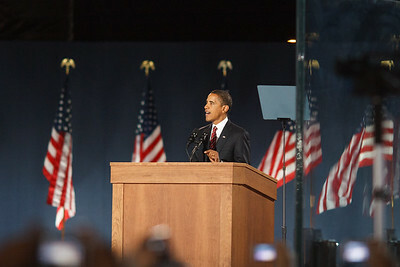 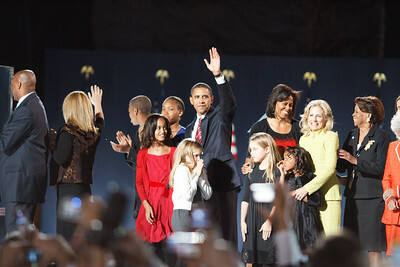 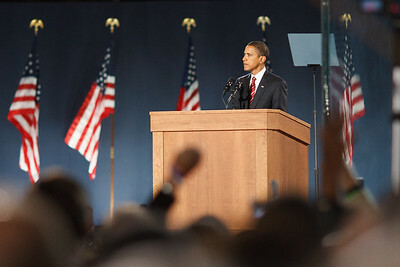 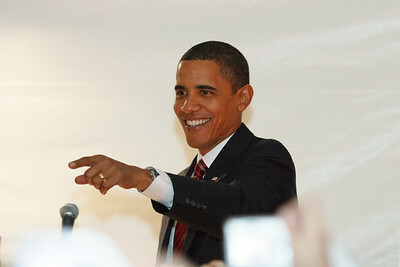 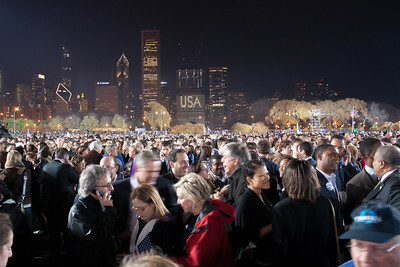 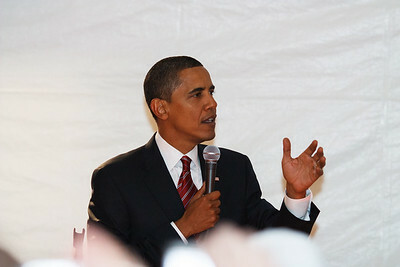 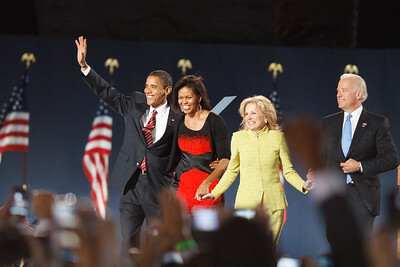 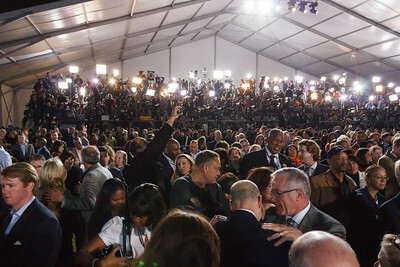 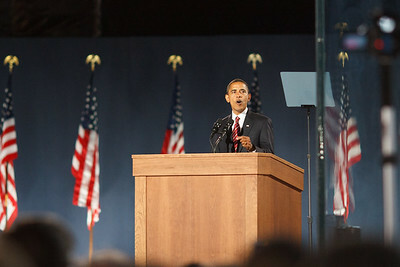 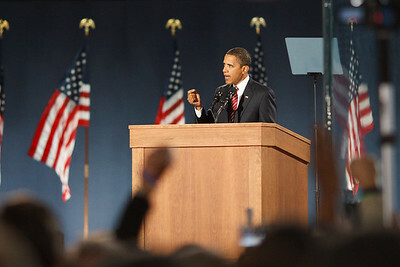 President-Elect Barack Obama prepares to speak to the masses.